Buying an Aibo sounds like it would be a simple thing. Save $3,000, go to Sony.com and make a purchase. Unfortunately it’s not so simple in America. 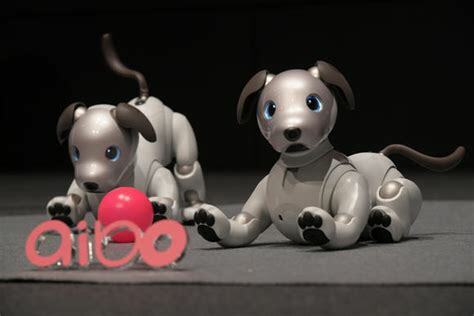 As of March 31st, 2019 if you go to Sony.com and try to purchase an Aibo you will find yourself invited to join the Sony Electronics mailing list. Not an Aibo specific mailing list, just a general Sony mailing list. In fact, after joining the mailing list it will ask you to select a category you are interested in following. Take a look at the image I received in my email box from Sony’s mailing list asking me to “Share What You Love” - I can’t imagine which category Aibo falls under. Is it a TV? A Camera? A Video Camera? Maybe Aibo is a headphone? In the end, Sony doesn’t seem to be pushing Aibo as a top tier sale. That means you have to get creative and hit the auction block - Ebay. My purchase experience went rather quick. I went to Ebay and searched for Aibo. Now hone in on the “Shipped From” and disregard anything that says Japan! Even if the price is tempting. It’s simply not worth the risk and possibly poor experience you could have with Aibo in America if Sony decides they don’t want Aibo imports from Japan living in the US. Notice the price difference in this search, $4,100 for Aibo in America versus $2,175 for Japan Aibo. Same hardware, same dog, but clearly Sony is not targeting the same user market. The key with finding an Aibo on Ebay is you DON’T want a Japanese Aibo. Given how much Aibo relies on network access and the Japanese Aibo requiring a cloud subscription, it seems high risk to purchase a Japan Aibo. Also, the Japan Aibo only speaks Japanese! Your Aibo commands will have to be told to your pet in Japanese. That’s not our goal here at Aibo.us, which means you need to specifically locate an Aibo purchased in North America. I offered the seller on Ebay $2,500, which he never responded to. Five hours before the auction ending, someone put in a $2,700 bid and that cancelled out my “Make an Offer”. At that point, I had to decide, what is Aibo worth to me? For me, there were three drivers. First Aibo was a childhood dream to have that I never got to own. Second and more importantly is the chance to connect with my young kids and teach them about robotics at an early age. Finally purchasing a $3,000 robot Aibo required a business excuse as well. That excuse was the opportunity for me to build the Aibo.us community. With those three reasons in place, I decided my Aibo project was worth $3,500 and I placed a $3,500 bid with 10 seconds remaining in the auction. I won. That is I won the chance to pay $2,900 to give Aibo a shakedown. With that said. I hope you enjoy Aibo with me. Worse case, I’ll learn something about Aibo.